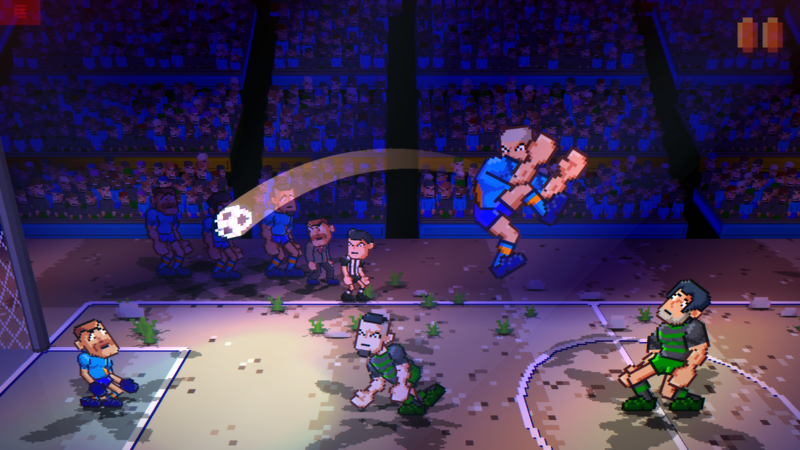 Super Jump Soccer - Leaping ragdoll soccer craziness. 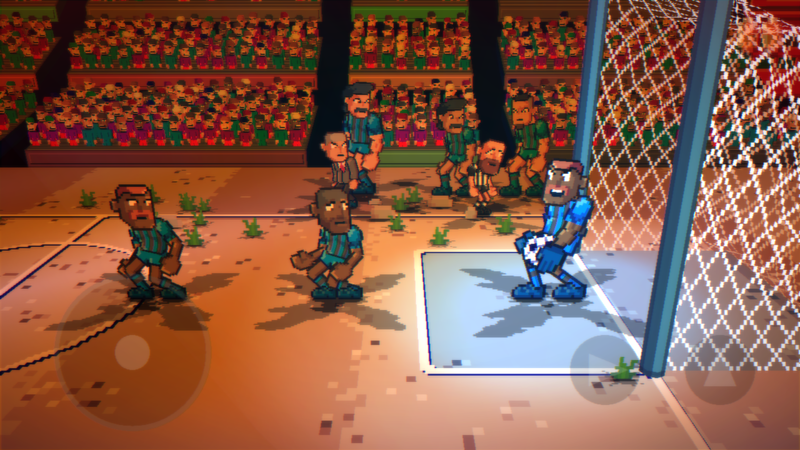 Super Jump Soccer is fast paced arcade football/soccer built using AI & physics powered ragdolls. Inspired by games like Soccer Physics and Dunkers. Responsive, dynamic gameplay with flying bicycle kicks, header deflections, and slide tackles. Featuring a Technos retro inspired art style like NES's Super Dodge Ball in 2.5D. Players run back and forth for the ball, jumping over each, deflecting the ball with headers, booting it with aerobatic kicks. Dogfighting each other on the ground and in the air, trying to score the next goal past a sport gaming trope invincible AI controlled goalie. Build your team by beating other teams and trading for players with stronger abilities: bigger, run faster, jump kicker, kick harder. Reach the top tiers of Super Jump Soccer playing against national teams from across the world. Shooting for the App Store in late June or early July, 2018. Universal app for iPhone and iPad. 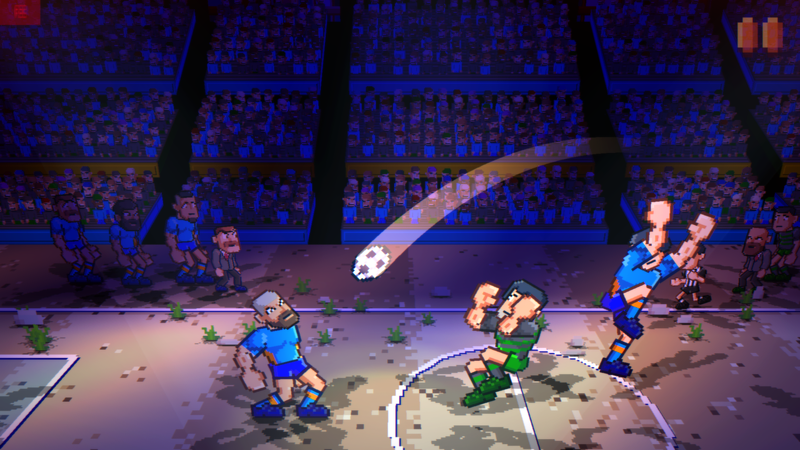 High jumping arcade beat em up style football/soccer. Flying kicks, flipping bicycle kicks, header deflections, slide tackles. Simple controls: dpad steer and aim, jump, kick/tackle. Procedurally generated players with unique ability rankings: size, speed, kick, jump. Emotionally driven AI that reacts to game events: celebrating goals, regretting loses. Play 1v1 or 2v2, with AI controlled goalies. Procedurally generates teams and stadiums. ARKit powered Augmented Reality mode to play Super Jump Soccer on your table, desk, or floor. 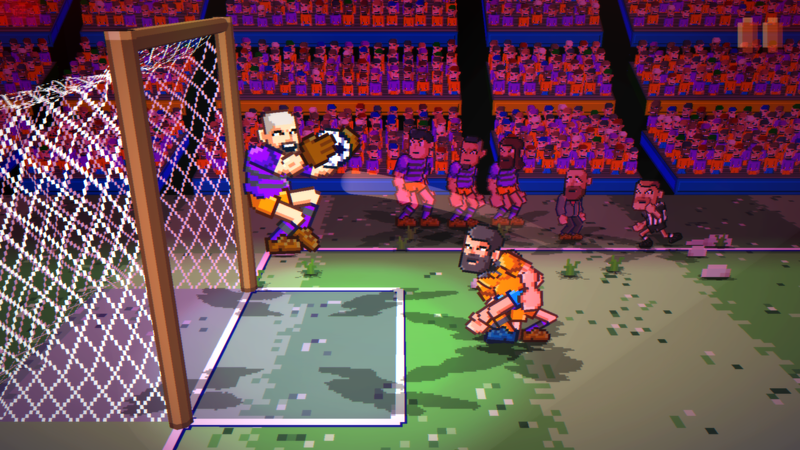 Sign up here for news about Super Jump Soccer and other Stinger Games.